The search processes within the real estate can be quite different depending on who you ask, but there are essential points in which all converge when establishing parameters to find just what you are looking for. The first thing that everyone looks for in this type of listings is the relevant information, the number of rooms and bathrooms that the property has, in addition, of the different amenities that the area or the same infrastructure has. The better the information is detailed, the easier it will be for you to make decisions. In this section it is essential that you have a review about it because from here I will establish your budget and you will be able to know what is allowed or not allowed to be done inside the facilities. Everything related to additional expenses, extra fee payments and rules that must be followed must be specified in the list. Today with technology being part of our lives it is easy to take a few pictures to place on the lists, therefore, finding good quality images that show the property to a large extent can be of great help. Here you can find if the property comes furnished or not question that will determine the final price, if you need some minimum credit or a monthly entry which is established by the association. This type of extra data must be reflected so as not to encounter surprises. 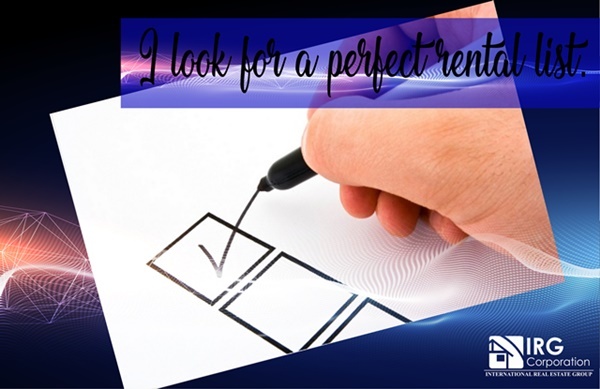 After following all these indications, you will be able to gain much of the time that could be lost trying to discard one by one the possibilities that you have, after all, finding the property that best suits your tastes is a process that requires dedication and patience. American football player, television personality and computer software executive. Basic Documentation to emigrate to the USA.